A carport can be a great solution if your home doesn't have a garage or if you'd like to create space for additional vehicles. Before you get started, however, you should strategically plan the design of your carport and have an idea of what the construction process will entail. Additionally, you may need to seek approval from your local zoning board. Most carports are open on at least one side. In some instances, they may be open on two or more sides. You'll need to determine, based on the weather in your area and what you plan to store under the shelter, how many sides you'd like the carport to have. It's a good idea to browse design ideas online or in a book before determining how you'll build your carport. Once you have a concept in mind, you can revise the overall look of the carport to meet your needs and the specifications of the space you have available. Depending on your level of expertise with construction of this type, you might consider consulting an engineer or contractor about your plan to be sure you haven't overlooked anything critical. Before you move forward with purchasing supplies or beginning construction, you should inquire into your local building code and zoning regulations. In some areas, you may only be able to build to a certain height or might need to drive footings into the ground to a certain depth to accommodate higher structures. Your local town hall or zoning authority can provide you with basic information about what's permitted in your area. Follow the zoning approval process carefully and await full clearance before initiating construction. To secure your carport and ensure its stability, the footings for your posts must be laid properly. To lay a footing, dig a hole 2 to 3 feet in the ground. The holes need to be at least six inches below the frost line to prevent shifting. Once you've dug your holes, pour a 2-inch layer of gravel into the bottom. Using tube forms and bracing, secure the posts and fill the tube forms with concrete. Once the concrete has hardened, you can remove the bracing structure. If you don't wish to use concrete in-ground footings for your carport, you can secure your posts to your driveway or another concrete surface with metal anchors. This requires great care and attention when it comes to alignment. When it comes to the roof of your carport, you have several choices for materials. Wooden roofs may work in certain locales, but be aware that moss or lichen buildup can shorten the life span of this sort of covering. If you reside in an area that deals with heavy winters, snow can also take a toll on wooden roofs. Proper clearing of accumulated snow will help to alleviate stress on the roof of your carport. A high-quality metal roof will last longer than any plastic materials, though it may rust down the line. In addition, the finish on an inexpensive metal roof may lose its luster over time. Plastic carport roofs, like those made of polycarbonate, are less expensive than high-end metal roofs. They're typically stiffer and easier to install than metal roofs but often prove less durable in the long run. Carport floorings can be made of gravel, concrete or asphalt. Gravel is a simple approach to this project, in that you can lay down and level off gravel without special tools or experience. Laying down gravel for a carport floor requires heavy manual labor, however. A concrete slab is another option for your carport's floor. This will provide a smooth, level surface for parking your car, which is ideal if you have an otherwise uneven driveway or yard. In addition, concrete flooring is free from the dust kicked up by cars driving over gravel. Asphalt flooring is a great material for parking vehicles on and is popular for carports. However, if you plan to put other equipment in your carport or use the area for automobile maintenance, you should avoid asphalt. 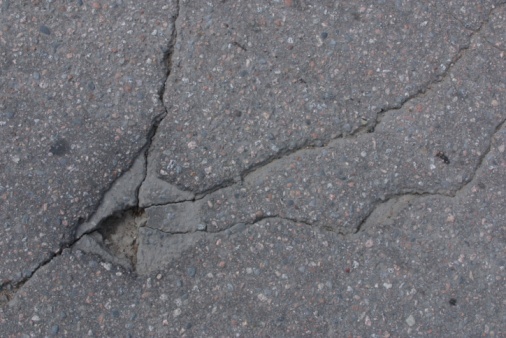 This is because asphalt has a softer surface than concrete, and heavy items may sink into it over time. Danielle Smyth is a writer and content marketer from upstate New York. She holds a Master of Science in Publishing from Pace University. She owns her own content marketing agency, Wordsmyth Creative Content Marketing (www.wordsmythcontent.com), and she enjoys writing home and DIY articles and blogs for clients in a variety of related industries. She also runs her own lifestyle blog, Sweet Frivolity (www.sweetfrivolity.com). Why Should You Put Gravel Under a Deck?